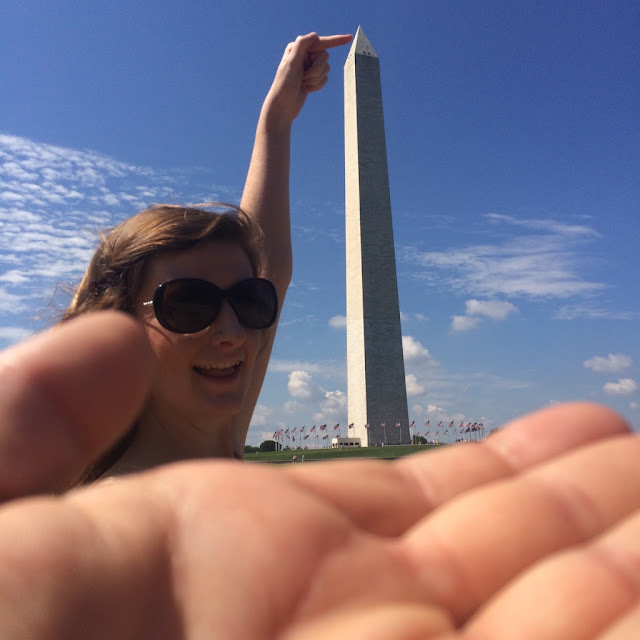 After Firefly Festival 2015, which you can read about here, Emily and I drove to Washington, DC to spend a couple of days exploring the US capital. 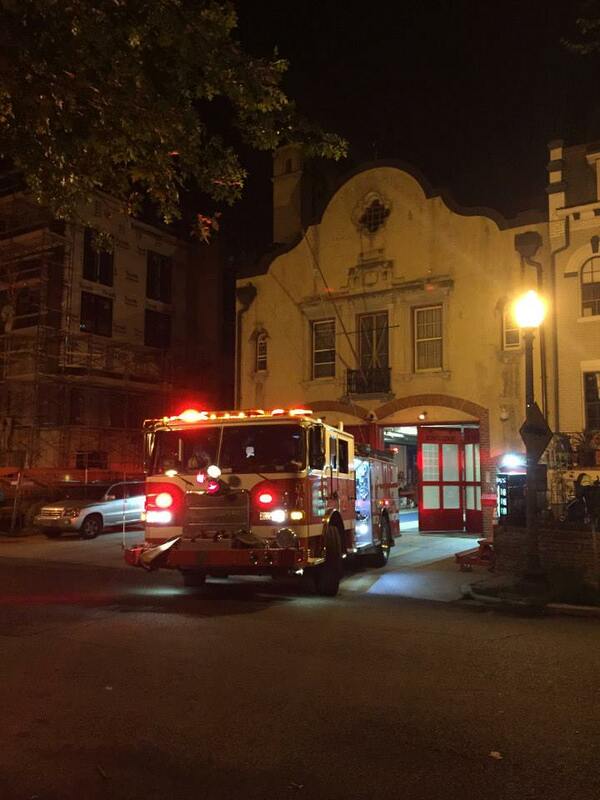 We stayed in an area called Adams Morgan, a couple of miles from the main tourist hotspots. 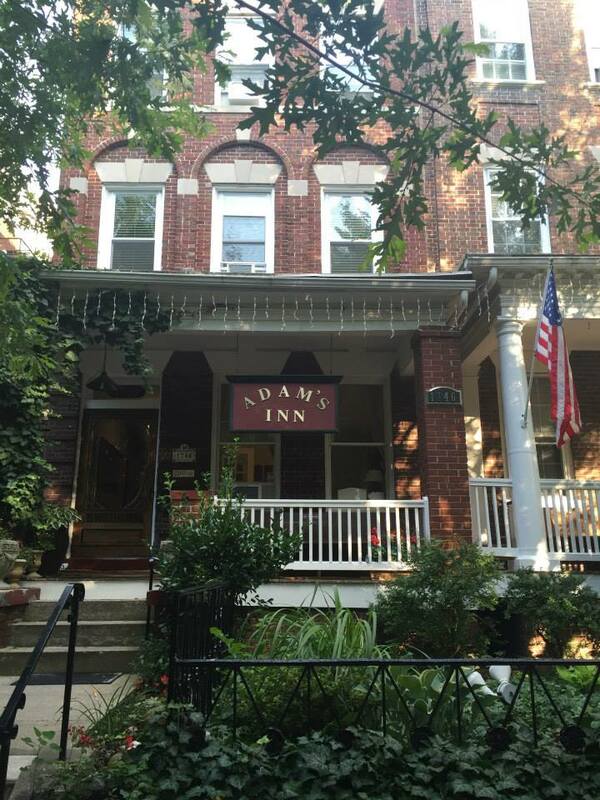 We stayed in a quaint little guest house called Adam's Inn, which is located opposite an old fashioned looking fire station. Amazingly, in the months since we visited the area, I discovered that a US colleague, who is a firefighter and part time DJ, is based at that particular fire station and was on duty while we were there! It's such a crazy, small world we live in. 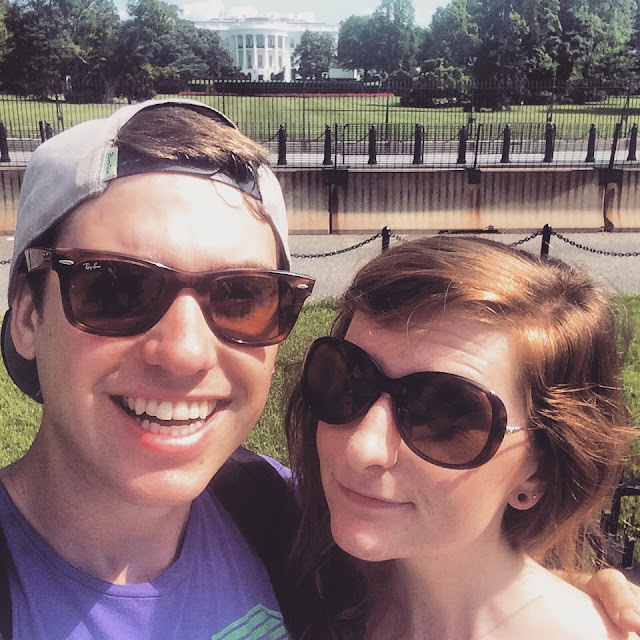 It goes without saying that we had to go and see The White House and get that all important bucket list selfie in front of it! As you can imagine, the security was incredibly tight, so you can't actually get all the close to it. We saw a helicopter land on the roof and we'd like to think it was someone important or even the main man himself! 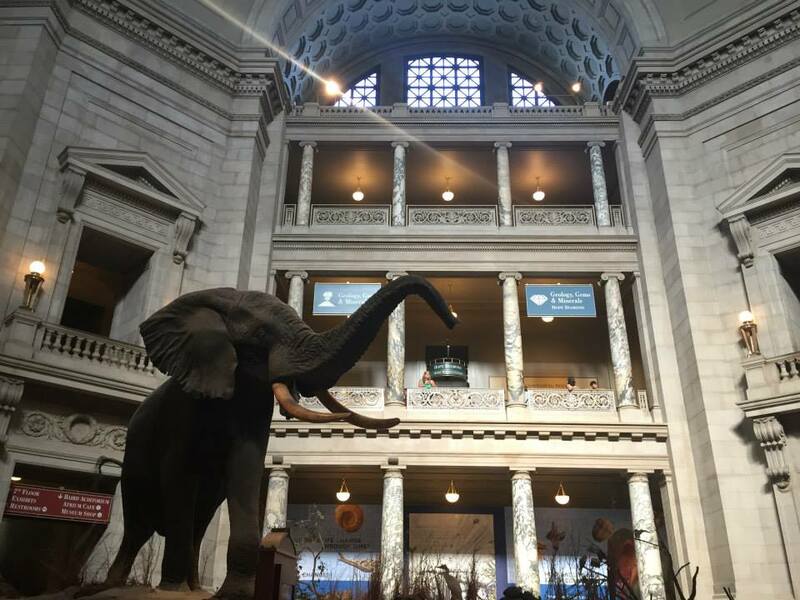 There are so many incredible things to see in Washington DC, all within a very small distance of each other. 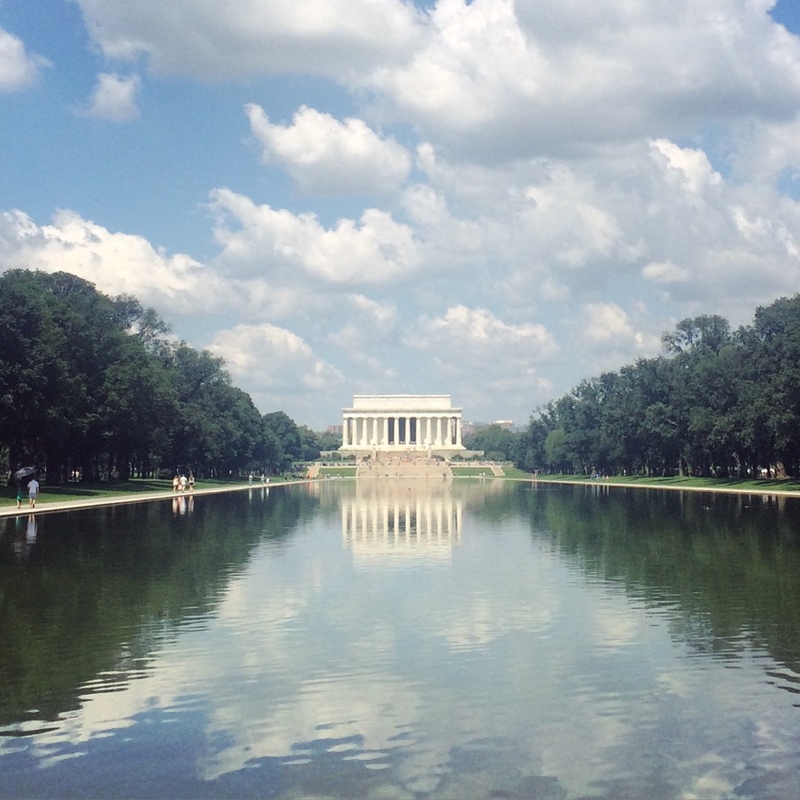 A few minutes walk from the White House, we checked out the Washington Monument and Lincoln's Memorial. Both heavily featured in movies and TV programmes including Homeland, Forrest Gump and Night at the Museum. We loved seeing all these famous places in person and it was such a lovely sunny day for walking around too. 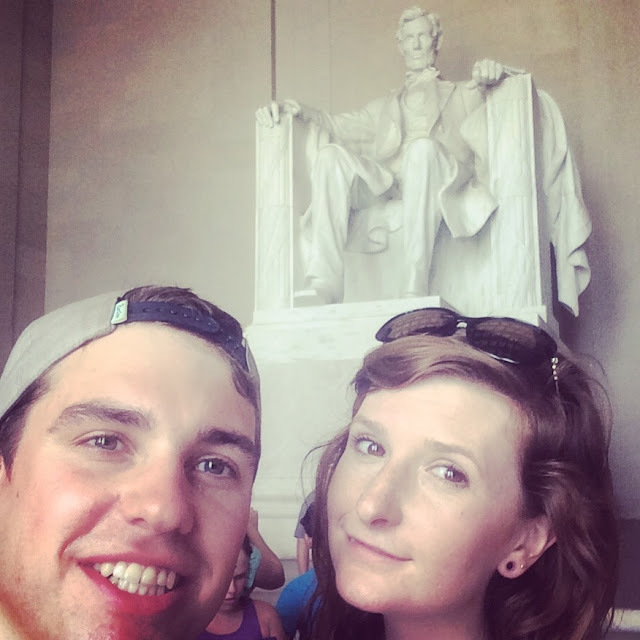 Selfie with Abe at the Lincoln Memorial! 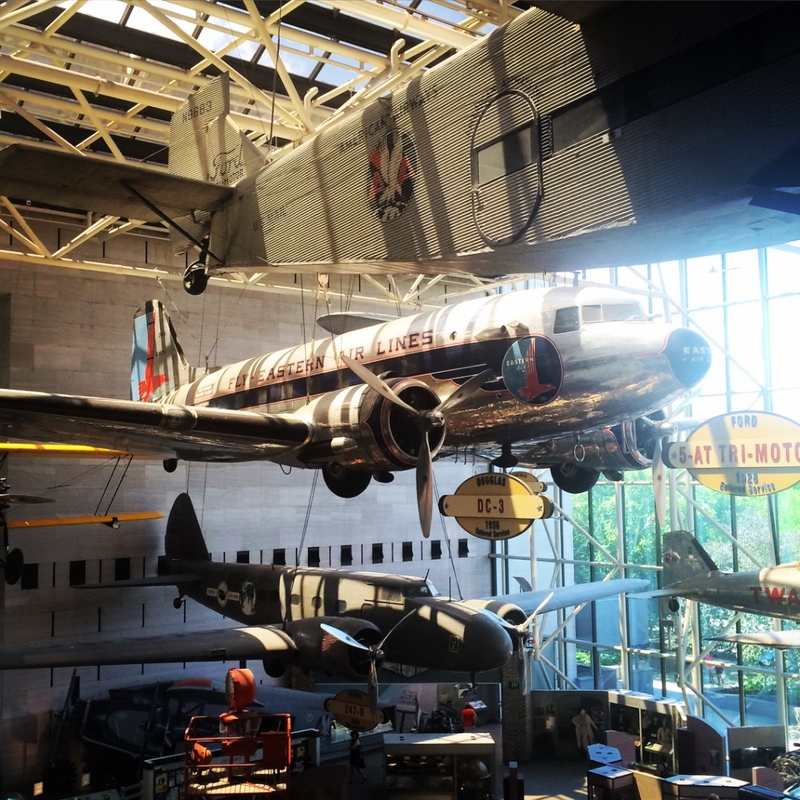 After lunch we visited the Smithsonian's National Air and Space Museum, which is another place we were keen to see, being big fans of Night at the Museum! It was nice to wander round here and cool down a bit with some air conditioning! We later visited the Botanic Gardens, which was a relaxing place to chill out for a bit. 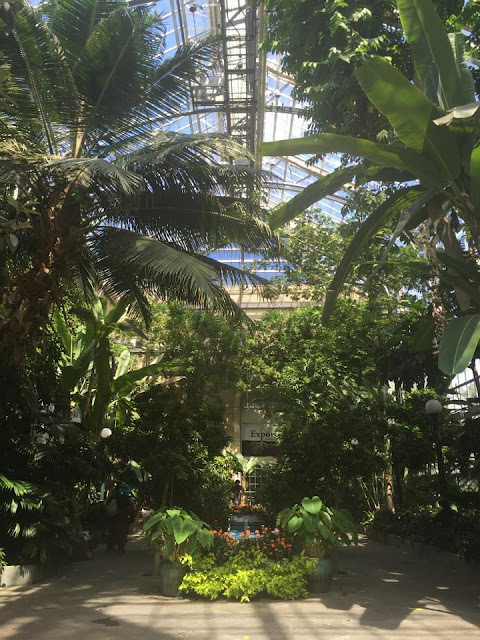 We've visited the Botanic Gardens in many cities, including Sydney Australia and Singapore, and they're always a nice place escape the city for a little while. 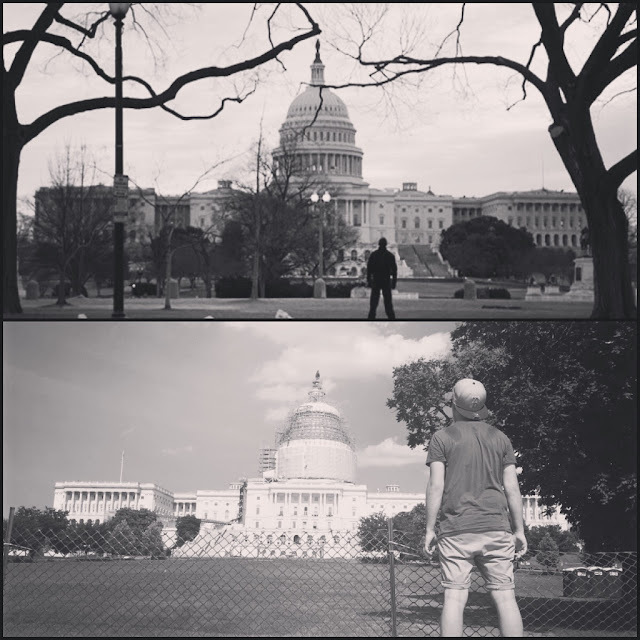 As a big fan of Homeland, I was excited to see the United States Capitol and attempt to copy the photo of Brody from the shows credits. It was surprisingly hard to replicate, but you can see my efforts below! To round off an action packed day of sightseeing, we visited the Smithsonian Institution National Museum of Natural History. After a much needed lie-in, we headed to Georgetown in Washington, DC. 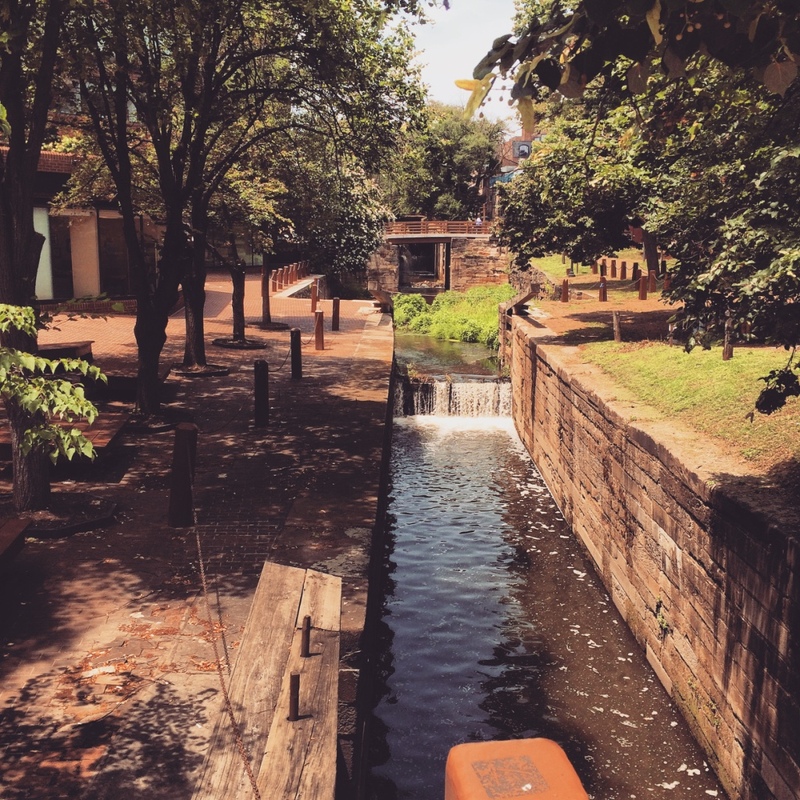 This is a very pretty area, which has lots of great shops to explore and is home to the renowned Georgetown Cupcakes, which a friend highly recommended we check out. There was a big queue outside [for cupcakes! ], so we knew this really was a special bakery. 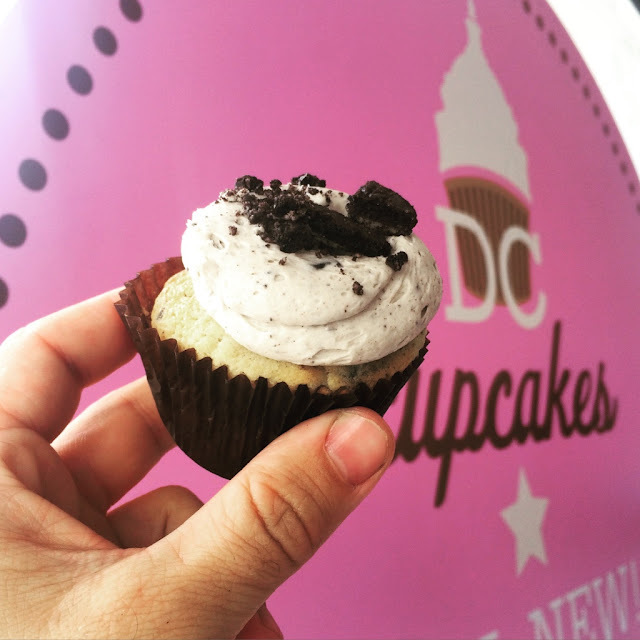 The cupcakes did live up to the hype and were a much needed sugar rush after lots of walking in the sunshine. We wanted to leave a huge amount of time to drive back to Philadelphia for our flight home, to allow for traffic and any delays along the way. We left mid afternoon for a mid evening flight and we were quite enjoying the road trip. 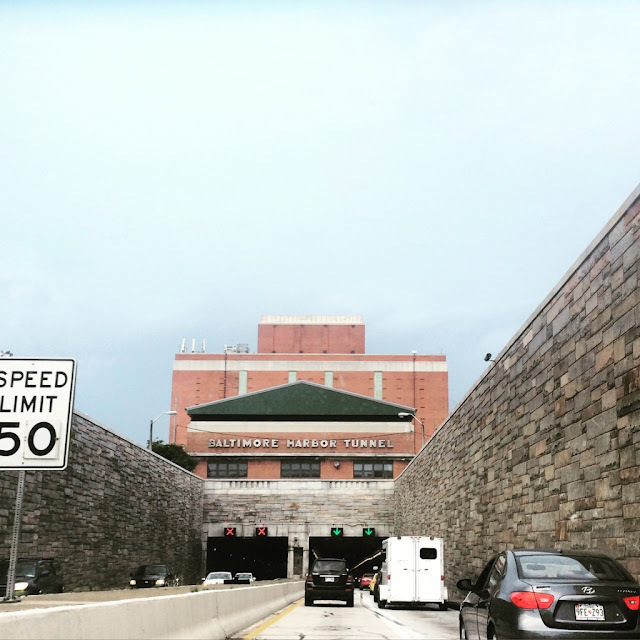 The photo below was taken just before we entered the Baltimore Harbour tunnel, when the sky was only a little bit gloomy. 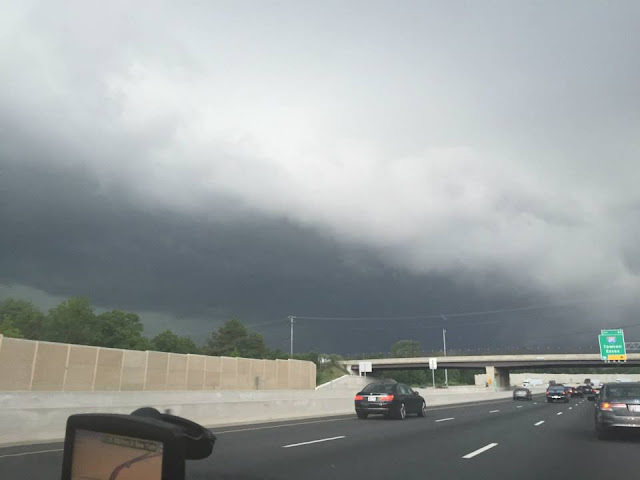 Shortly after emerging from the tunnel, the sky was rapidly changing to a very dark and stormy colour, which at first we thought was actually kind of cool. Then the rain started in abdundance and we became a little bit concerned, as surface water flooding started appearing on the roads. 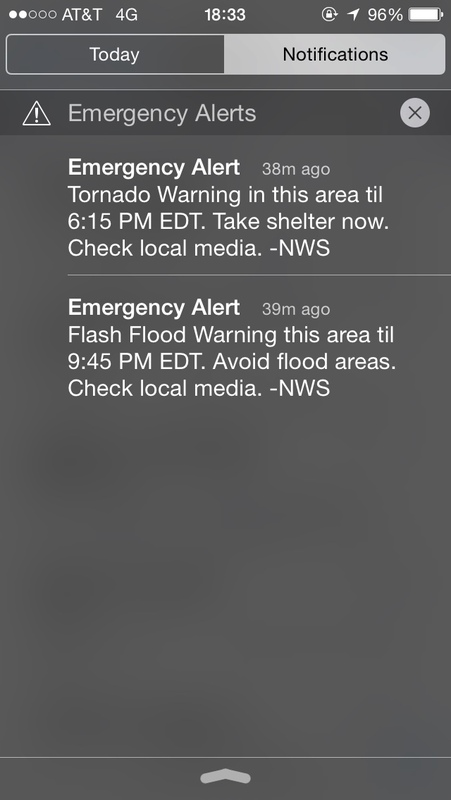 Emily and I both got automated Tornado Warnings pop up on our phones, which I have to admit was quite scary! The warning, along with messages on the radio, suggested we take shelter. We weren't really sure what to do, as we were quite a way from the airport and didn't want to miss out flight. We decided to try and seek shelter in a local hotel, but we couldn't find anywhere suitable, despite taking quite a big detour off our main route. We ended up stopping at a Home Depot store, where we got out and sheltered inside for a little while. The locals were all calm about the whole thing, which made us feel a lot better. When we decided the rain had stopped enough to continue the journey, we got back in the car, only to find it making an awful noise when we started moving! The flooding on the road had caused a big piece of fibreglass to break off under the car, which was dragging along the road. 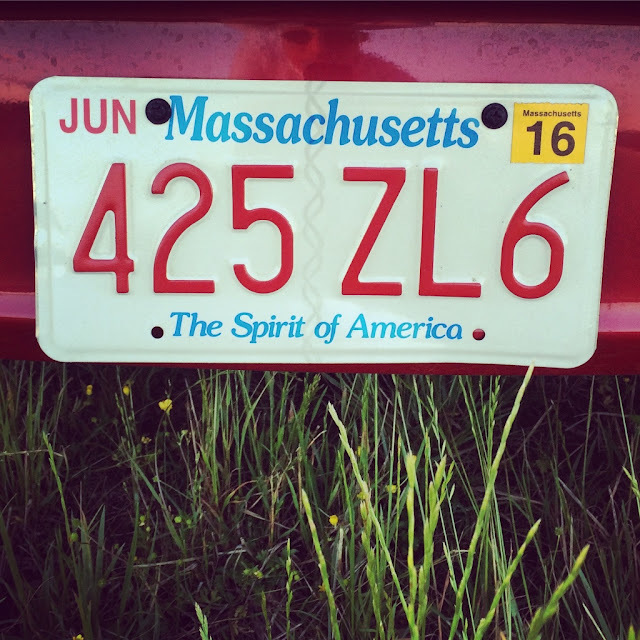 A friendly worker helped us cut this off, but the damaged caused us more concern, with the possibility of water getting into parts of the car that it shouldn't, and of course returning the rental car with a big bit unattached! By this point, we were starting to cut it pretty fine to get to the airport, despite leaving so hugely early to get there. We arrived at the car rental office just over 30 minutes before our bag drop was due to close. Emily got on the shuttle bus with our bags, as we thought it was much better to try and sort out a later flight for just me, if I did end up missing it. I returned the car, apologised for the storm damage and got on the next shuttle bus. I met Emily at the airport and we dropped our bags with two minutes to spare. We were so glad to get on the plane and relax shortly after, after an eventful and tiring few hours! The whole experience was quite surreal and certainly an interesting story to tell. The whole trip to the US for Firefly Festival and to visit Washington DC was an incredible experience that I'll be thinking about for many years to come. 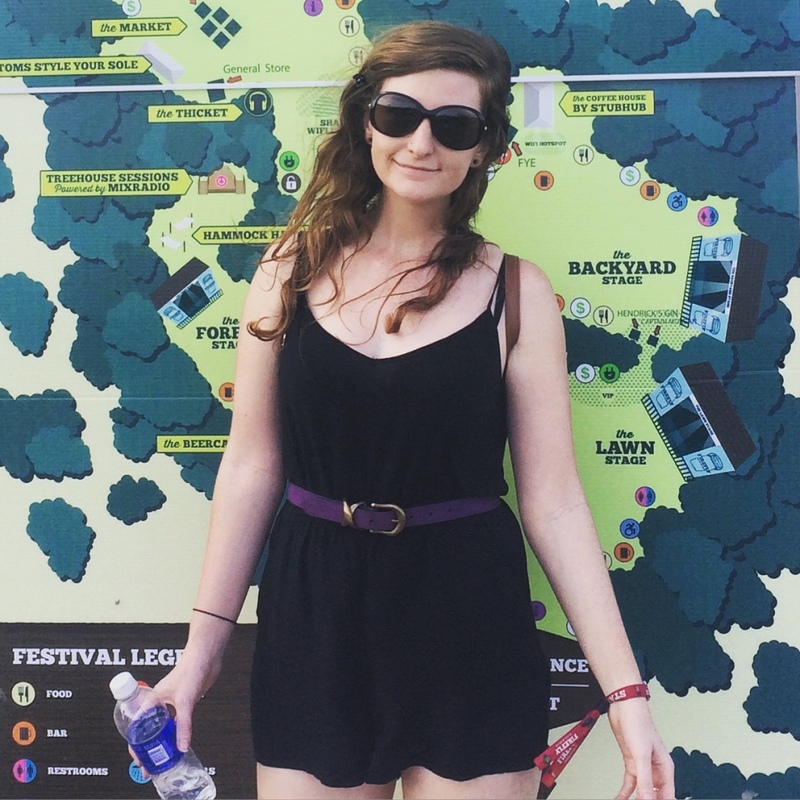 As I prepare for Firefly Festival 2016, I wanted to take a look back at Firefly Festival 2015, held at the Dover International Speedway in Delaware each June. My girlfriend Emily and I flew from London Heathrow to Philadelphia and picked up a car rental. I was pretty apprehensive about driving on the 'wrong' side of the car, and on the 'wrong' side of the road, but it was actually a whole lot easier than I had imagined. It definitely helped that the car was an automatic, so I didn't have to negotiate a gear stick. 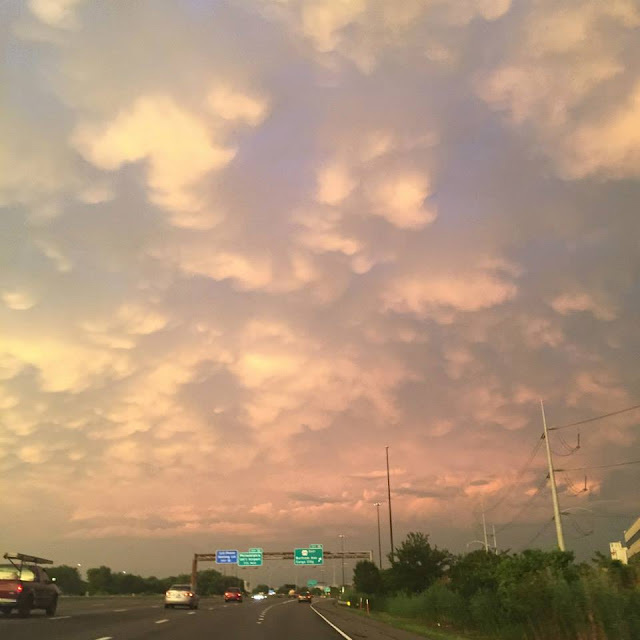 We stayed in a Red Roof Inn a couple of miles from the Firefly Festival site the night before and headed to IHOP - International House of Pancakes for breakfast. 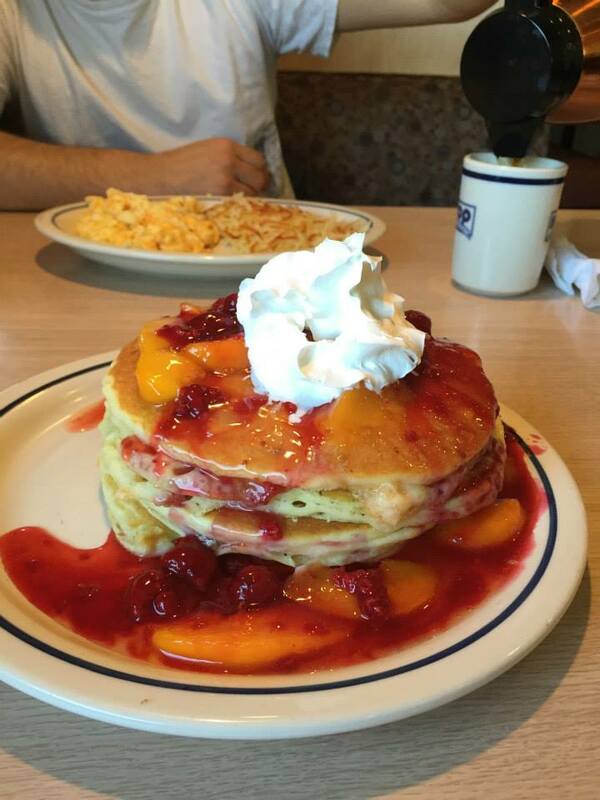 My American colleagues tell me that IHOP isn't exactly a place to get excited about, but as we have nothing quite like it in the UK, were were quite impressed with the huge pancake stacks and delicious American style hash browns! 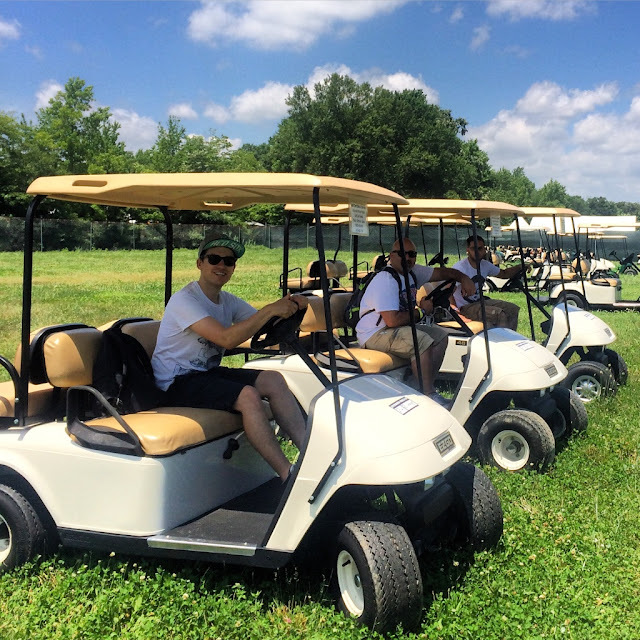 We met up with my American colleagues and picked up golf buggies, to help us get kit and crew around the huge festival site. They're surprisingly fun to drive too! 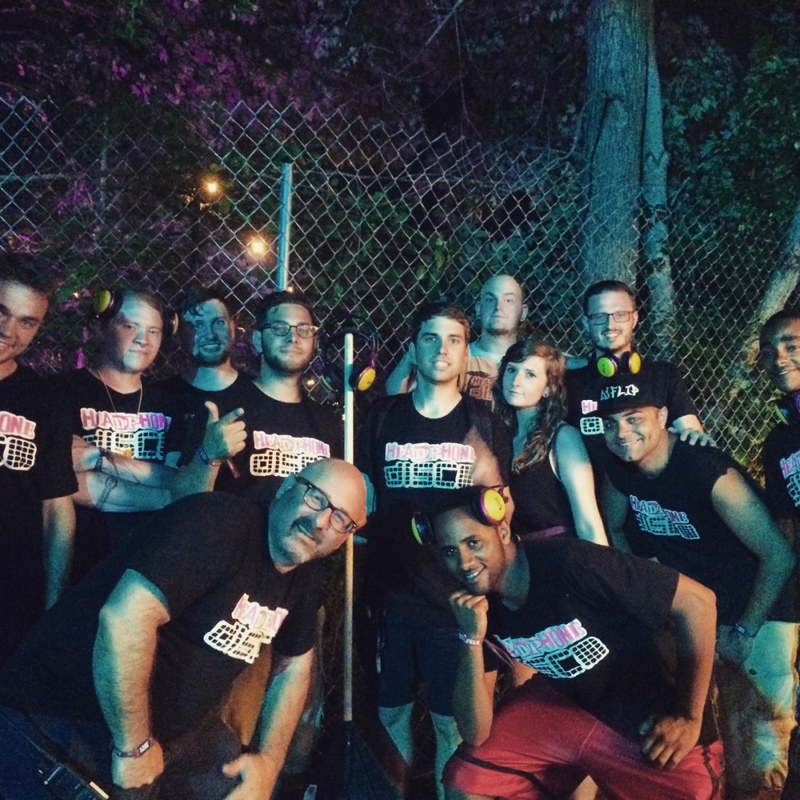 Headphone Disco At Firefly Festival from DEGY Dance on Vimeo. Headphone Disco host a further two smaller stages, one located in each of the main camping areas. This is where we entertain festivalgoers after the main festival music programming, from around midnight until the very small hours of the morning. In our free time, Emily and I enjoyed wandering around the festival in the sunshine and checking out new bands. There are many stages of different sizes of the festival and it's a lovely site to wander round and take it all in. We had catering provided for us on site and we loved the American food and drinks -- and of course the huge portions! We loved the whole festival experience as there were so many small things that were different to UK festivals. Even things like being able to park your car next to your tent was something we were not used to, and was very helpful. This was only our second time in America and we were still very much enchanted by all things American. Every so often I'd have a surreal moment where I suddenly remembered where I was! As Delaware is not a particularly big tourist state, we were very much in the minority with our British accents, which a lot of people commented on -- which we found quite entertaining. 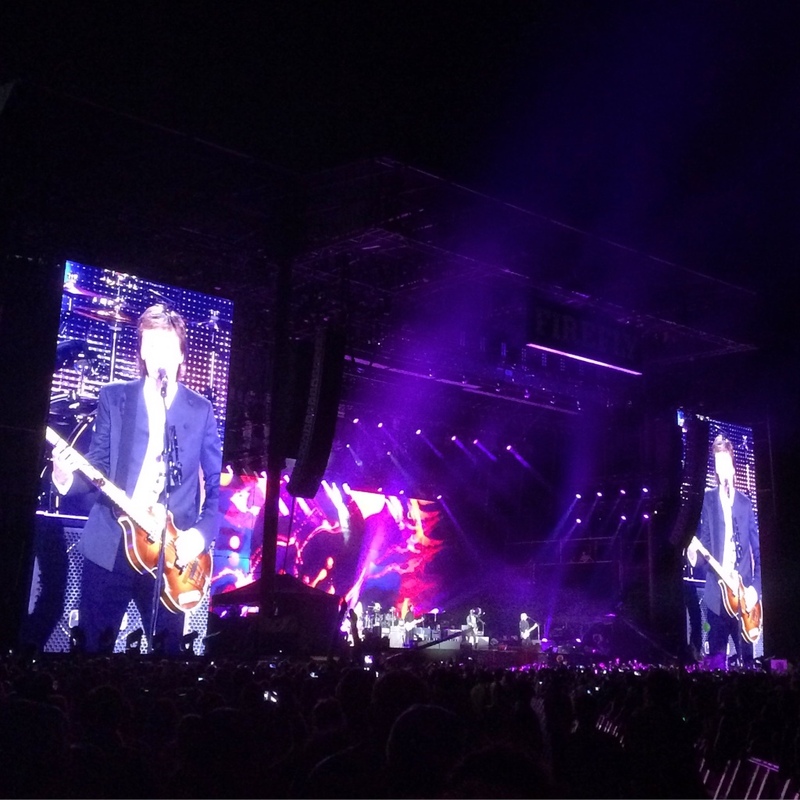 The big highlight of the festival for us was watching the wonderful Sir Paul McCartney perform on the main stage, which we watched from the VIP area. It was so incredible to see him perform live and a show I will never forget. Firefly is a wonderful festival that I am very much looking forward to returning to in June 2016. See you in the Woodlands!